Modern humans left Africa between 90,000 and 75,000 years ago. We subsequently spread globally. But who are 'we'? Where do modern humans fit in with earlier hominins? Were they our ancestors? Providing an overview of the evolutionary tree of hominids, based on skull morphology, brain size and other fossil evidence of the various genus species. 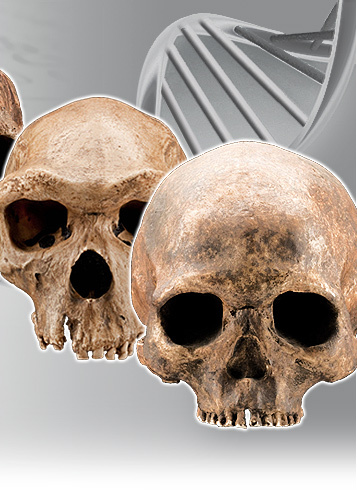 We explore key questions raised in the fields of paleoanthropology, archaeology and genetic science in the search for our earliest ancestors, and provide a background and general context for the Journey of Mankind - Genetic Map.